St. Luke’s Episcopal Church donates fresh produce, tomatoes, peppers, onions, for St. Paul’s Pantry, Kansas City, Kansas. The garden is planted and maintained by members of the parish who love to get down and dirty. The Garden is located on the property owned by the church just east of the building. Contact church office for more details. 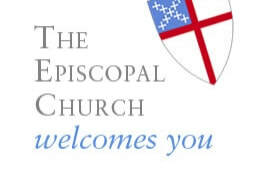 St. Luke's food drive helps to replenish the Episcopal pantry located at St Paul’s Episcopal Church, KC, Kansas. Volunteers take food to the pantry and help serve clients each Wedneday from 11:30 am to 3pm. Volunteers are needed for a variety of tasks. St. Luke's church sends packs and delivers food to three different schools during the academic year for children at risk due to low income. This is an opportunity to serve the surrounding neighborhoods and to care for the youngest in our midst. and seasonal events, too, such as Habitat, coat drives, etc.